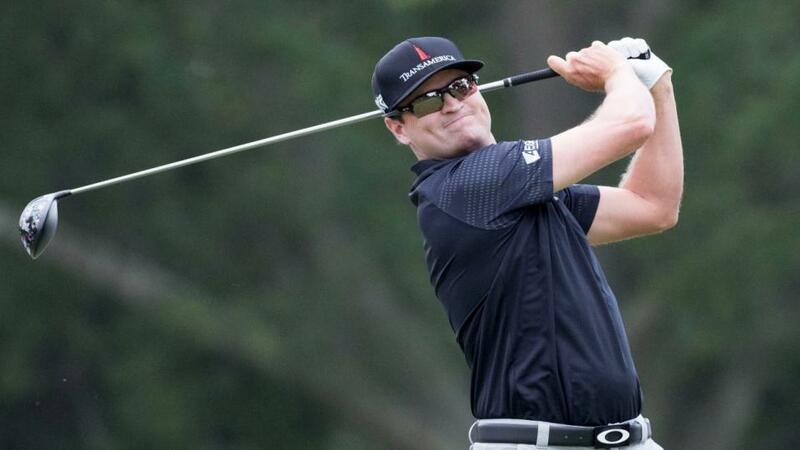 "Although his form here is ordinary, Zach Johnson has won both the Sony Open and the John Deere Classic and he’s a fine wind player and Bermuda greens putter so it doesn’t make sense that he’s never mastered this track. He’s had a bit of a break and just turned 40 and I just wonder if that significant milestone might inject a bit of impetuous." Having enjoyed a brilliant trip to Mexico, the PGA Tour returns to Florida this week for the 18th edition of the Valspar Championship. First staged in the autumn of 2000 as an opposite field event, the Valspar Championship switched to its now usual March slot 11 years ago. Copperhead Course, Innisbrook Resort, Palm Harbour, Florida. The four par fives (holes one, five, 11 and 14) were the easiest holes on the course last year and the last three holes are tough and known as the Snake Pit. With water right and trees left, there's no bailout off the tee whatsoever at the par four 16th. It ranked as the third toughest behind the par three 13th and the par four sixth 12 months ago but it often ranks as the hardest hole on the course and it very often has a say in the outcome of the tournament. Last year's winner, Adam Hadwin, double-bogeyed the hole to go from long odds-on to odds-against but he was still able to prevail when his nearest challenger, Patrick Cantlay, bogeyed the last. The par three 17th is no cakewalk and you need to get your drive away nicely on the tricky 18th, which last year ranked as the fourth hardest hole. Copperhead has been the host course for the Valspar Championship since its inception. Live all four days, with live Featured Group coverage on Sky Sports from midday on Thursday and full coverage from 19:00. Last year's winner, Adam Hadwin, ranked 37th for Driving Distance and 27th for Driving Accuracy, demonstrating that what you do off the tee here isn't too important. Gary Woodland is the only big hitter to win recently but in truth, a lot of bombers swerve the event, safe in the knowledge that their power has no advantage here. The average DD ranking of the last six winners is just 39.2 but the DA average isn't much better at 35.83 and the two winners before Hadwin, Charl Schwartzel and Jordan Spieth, won despite ranking just 66th and 51st for fairways found. Finding the smaller than average greens is key to victory though. Last year, four of the first five home ranked inside the top five for Greens In Regulation and 12 of the 17 course winners to date have ranked 11th or better for that stat. The last three winners have had a Putting Average ranking of second and Retief Goosen (when winning for the second time here in 2009) is the only winner to date that didn't rank inside the top-20 for that stat. An ability to handle windy conditions is usually an essential prerequisite and at this very early stage the forecast for Thursday and Sunday in particular suggests we'll experience some blustery conditions. This isn't your typical Florida type of test so looking at results at other events in the state won't necessarily help but a great place to start is Josh Culp's futureoffantasy website here, where you can find list of the top performers on Bermuda greens and there are two courses appear to correlate. Four men have also won this event and the John Deere Classic - two of the last four winners of this one, Spieth and John Senden, Sean O'Hair and Vijay Singh, and it should really be five. The 2016 John Deere Classic winner, Ryan Moore, threw this one away three years ago. Last year's John Deere winner, Bryson DeChambeau, finished 27th here on debut here 12 months ago but even he has form at both courses given he won the 2014 All-American athlete conference championship at copperhead, and I see that Brett Quigley, who never got to win on the PGA Tour, finished second in both events, so that's definitely an event to consider. Although in decent form, Hadwin was something of a surprise winner who was matched at [120.0] before the off and he didn't really fit the mould of a normal Valspar winner. His course form wasn't anything to write home about and this was his first win on the PGA Tour. The two winners before Hadwin, Jordan Spieth and Charl Schwartzel, were both major champions and so too were four other previous Valspar victors - Vijay Singh, Mark Calcavecchia, Retief Goosen, and Jim Furyk. This is a true test, where patience and guile count for plenty so it's no surprise to see so many high-class winners. Despite last year's result, course form stands up well here and in its relatively short history, we've seen two men win the event twice and a number of winners have also finished runner-up. K.J Choi and Goosen are the two that have claimed the prize on multiple occasions and Choi is one of five winners to have also finished second. He finished runner-up behind Jim Furyk in 2010 and Furyk himself subsequently finished second in 2012. O'Hair, Senden (twice) and Singh have all also won the event and finished second. Having trailed by six strokes after round one, Hadwin hit the front at halfway and he extended his lead to four with a round to go but straightforward front-running winners are a rarity here. Jim Furyk was three clear through 54 holes before winning in 2010 but he's the only other winner to hold a clear lead going in to the final round in the last ten years and seven of the last ten winners have come from behind. Jordan Spieth was matched at a high of [30.0] after a slow start in 2015 and runner-up, Patrick Reed, hit a high of [150.0] after he struggled at the beginning of the week. Spieth sat tied for 38th and five off the lead after round one and Reed trailed by seven in a tie for 80th but as many others have done before them, they were able to make up the lost ground. Having hit a high of [290.0], Senden was still tied for 35th and fully eight shots back at halfway four years ago. Mark Calcavecchia, the 2007 winner, was ten back after round one and still six back at halfway and although he was tied for the lead after round three, Streelman was eight behind after day one and still seven behind at halfway five years ago. As already stated, having started the day four in front, Hadwin double-bogeyed the 16th hole last year to lose his outright lead and to go from long odds-on to odds-against. The third round leader in 2016, Bill Haas, was matched at [1.26] before getting beat in extra time and the 54-hole leader three years ago, Ryan Moore, still led by three with just six to play but having been matched at just [1.42], he played the last half a dozen holes in three-over-par to miss out on the playoff by two strokes! This is clearly not an easy place to get across the line from the front. None of the front four in the market make any appeal at the prices. The 2016 winner, Jordan Spieth, is desperately trying to get himself into tip-top condition for the US Masters but he isn't quite firing. This is a second shot golf course that suits him really well though and I wouldn't be surprised to see him contend again. His 18th last year when defending was disappointing but he shot 76 in round one to put himself firmly behind the eight ball. A decent start this time around and the juices could start to flow but there's no juice in the price at less than 10/1. Rory McIlroy is another desperately striving to get his game in order in time for Augusta and he's hard to fancy after 59th in the Honda Classic, at a venue that suits him. He failed to break par all week there and given this is his course debut, he's not for me. Sergio Garcia contended strongly for three days in Mexico before floundering in round four and he looks short enough too but he does have some decent form figures. The world number 11 hasn't been here for five years so this will be his first look since the greens have all changed but his figures read a very respectable 59-41-15-16-7. Justin Rose is another visiting for the first time since the changes and he has an even bigger bank of course form dating between 2004 and 2015 reading 30-20-25-14-13-5-29-8-MC. He didn't seem to enjoy Mexico much last week but did finish the week with a four-under-par 67 to climb to a tie for 37th. Justin was in fine fettle at the end of 2017 and his eighth at Torrey Pines in his penultimate start is decent enough but he too makes little appeal at the prices. I fancy a few here and first up is Henrik Stenson who has course form figures reading 4-11-7. I like the fact that Henrik only played here for the first time in 2015 so while better than most of his market rivals, the form is also more recent. He's well rested after a poor week in Malaysia but the greens were awful that week and I've written that form off whether good or bad. Prior to that he finished eighth in Abu Dhabi and sixth in Dubai and I fancy he'll bounce back nicely this week. I thought he'd be less than 20/1 so I'm more than happy to play him at [25.0]. Jason Dufner missed the cut here in 2007 but in his nine subsequent starts he's never finished worse than 28th so it's clearly a venue that fits his game. He's been in reasonable form so far this year, if we ignore Sunday's 79 in Mexico and I thought he was worth chancing at [80.0]. Ollie Schniederjans has played here twice without making the weekend but I've chanced him because he's shown promise at the two correlating courses mentioned above, he putts Bermuda really well, and he's a tremendous prospect with understandably in-and-out form. He led the John Deere Classic last year after round one before fading to 39th and he finished seventh at the Sony Open in January. He was also third at the Phoenix Open so he's very much a rising star and this might be an ideal venue for him to shine. Although his form here is ordinary, Zach Johnson has won both the Sony Open and the John Deere Classic and he's a fine wind player and Bermuda greens putter so it doesn't make sense that he's never mastered this track. He's had a bit of a break and just turned 40 and I just wonder if that significant milestone might inject a bit of impetuous. He's a risky play but at a triple-figure price he's well worth the risk and last but not least, I've thrown a few pounds at the aforementioned John Deere Classic winner, Bryson DeChambeau. I'll be back later with the Hero Indian Open preview.